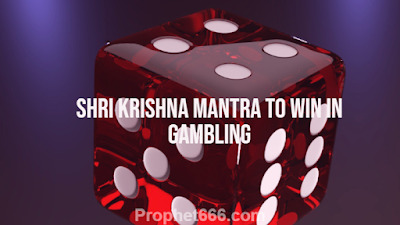 In this post, I have written about a Satvik or Pure Shri Krishna Mantra to win in any form of gambling, including getting jackpots and large sums of money in games of chance like cards, lottery, roulette, lotto, stock market, Matka, Satta Bazaar, horse and dog racing, betting on cricket and ball games and other forms of gambling and betting. This is a very interesting Mantra, which is more like a Prarthana or Prayer and is composed in simple to understand Hindi language and it names the greatest and most famous Game of Dice in history between the Kauravas and Pandavas that ultimately led to the Great War of the Mahabharata. The Game of Dice mentioned in the Mahabharata, which is called as Dhyut Ya Chausar Ka Khel compelled Yudhisthira to gamble away his kingdom and everything possessed by the Pandavas, including themselves and Draupadi, the wife of the Pandavas. However, as the wordings of the Mantra indicate even though the Pandavas lost the Game of Dice because of cheating by Shakuni and the Kauravas, it was the loss of Dharma or Righteousness and ultimately Hari or Shri Krishna intervened and made Righteousness triumph over Evil. The Mantra is specially meant for people who do not cheat or manipulate gambling or other forms od gambling to their advantage. 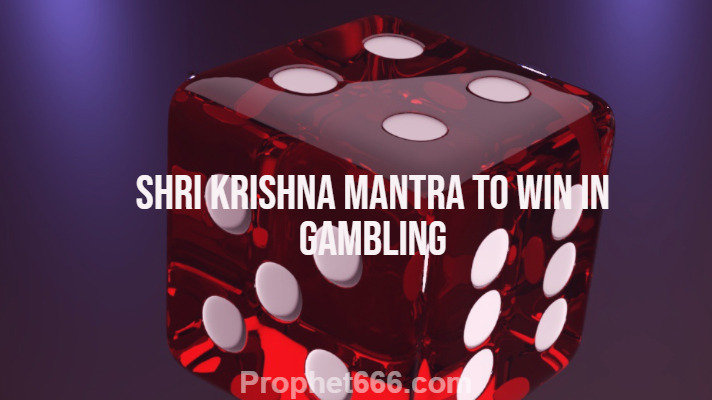 There is no Vidhi or any form of Siddhi Sadhana, Shubh Muhurat or anything else needed to practice this Mantra and as per the Tantra, the gambler who play the game honestly has to keep meditating upon the Mantra, whenever he is engaged in gambling or any other game of chance. Notes- Even though, this is a Siddh Jua Jeetne Ka Mantra, it is better that the practitioner memorizes it by heart before actually using the Mantra during games of chance. This site does not endorse any form of gambling or games of chance and believes that gambling in a dangerous addiction. This site cannot vouch for the effectiveness or success of this Mantra and hence this post has been written only to give readers rare and interesting information about ancient Indian Spells and Prayers. Many similar Mantras, Yantras and Charms can be seen in the sections on Paranormal Remedies Money, Money Yantras and Wealth Mantras.